In a country where being a ‘National Hero’ is highly valued and the ultimate compliment, few stand in higher regard than Jose Marti. Defining the man is more difficult as, in his relatively short 42 years, (1853 – 1895) his career included poetry, journalism, teaching, philosophy, publishing, politics, economics and more besides. There can be no doubt that he was a man of broad interests and many talents. 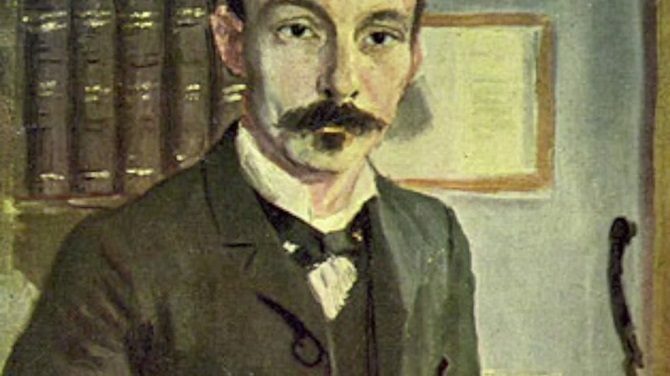 Jose Julian Marti Perez was born in Havana in 1853 to Spanish parents and, apart from a brief early spell back in Spain, was raised and educated in the Cuban capital. Although not from a wealthy or privileged family, his early promise in school led to the influential Rafael Maria de Mendive financing his later studies at the Instituto de Segunda Ensañanza where his political beliefs began to take shape. When the Ten Years War for independence broke out in 1868, Jose Marti’s main contribution was with the pen, publishing essays and poems is support of the cause. In 1869 he published Abdala which included the ’10 De Octubre’ sonnet, one of his most famous works. After being briefly jailed in Havana, although still only a child of 16, Jose Marti was sent to Spain by the authorities with the hope that it would instil loyalty to the homeland; the reality was that it simply re-enforced his contempt for Spain and his desire for Cuban independence. 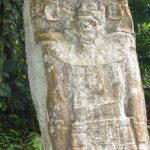 The years that followed saw Jose Marti travel extensively – Mexico, Guatemala, Venezuela, the Caribbean and USA – all the while spreading the message of independence and self- determination. He eventually returned to Cuba in 1895, this time in support of military conflict, and died at the Battle of Dos Rios on 19th May that year. Although not a military hero in the mould of Castro & Che Guevara, few Cubans did more to promote the cause of Cuban independence on the world stage. Although Jose Marti met with considerable success when it came to garnering support in the USA, he was always fearful of the country’s intentions towards Latin America so it is not without irony that when Cuban independence did finally come about, in 1898, it was largely down to the military support of the USA; and so another chapter in Cuba’s history began. 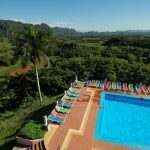 Today, there are reminders of Jose Marti wherever you travel in Cuba – simply arriving in Cuba, there is a good chance that you will land at Jose Marti international airport in Havana. Walk through any square in Havana, enter any bar or listen to the band at your hotel and there is an odds-on chance that you will hear the classic song ‘Guantanamera’, the words for which are adapted from a poem by Jose Marti in his book ‘Versos Sencillos’. 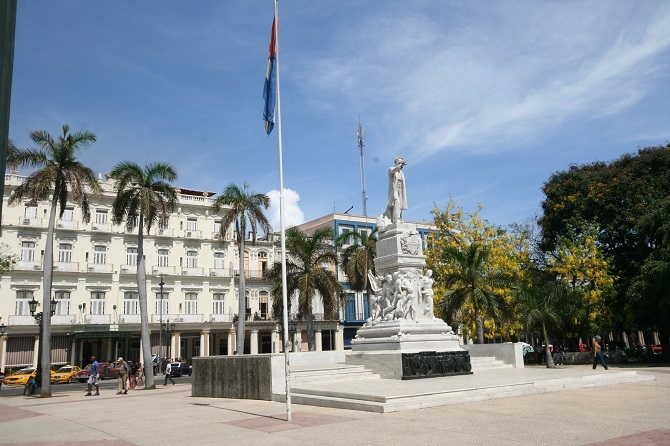 Also to be found across Cuba are numerous streets and parks named in his honour, together with too many statues to count, including the one featured in the photo at the beginning of this article, located in Parque Central in Old Havana.